Our Bull Stress Ball comes in black or blue. You can order one color or mix and match. Put a custom imprint on a bull stress reliever and hand them out. These bull stress balls are great to advertise financial services or for farm fairs and shows. 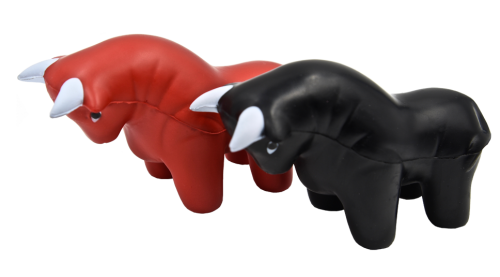 These bull stress balls are light to transport but tough when it comes to taking a squeeze.